Today’s real estate marketing often includes a robust online strategy since volumes of people are interacting online. Does this mean holding an open house is outdated and should be dropped from the real estate marketing strategy? Absolutely not. While there are many more avenues to attract potential buyers to a property, the tried-and-trusted ways can still have an impact. And REALTORS® are skilled at using each of these strategies to their advantage to showcase your home to the maximum number of people. An open house carries minimal costs. For the cost of some online advertising and a few signs it’s possible for many people pass through your home. When your home is listed with an agency these expenses are covered by the agency. Buyers coming to an open house are primed for house shopping. The experts say buyers who visit an open house will typically visit more than one. The buyers will be in shop-and-compare mode to compare features and layout from one home to another. Use this time to accentuate how your home is different and standouts in comparison. While photos can be good, seeing your home in-person is so much better, especially if a home stager’s services have been used to highlight your home’s best features. The more eyes which see the home, all the better. An open house can attract both buyers and browsers. Even if a browser may not be ready to say “yes” to making an offer this person may know someone who is also searching for a home. Word of mouth can be a powerful marketing tool. It’s common behavior to tell someone about something you like and encourage them to experience this too. Open houses can be more personalized. For buyers who may be new to a neighborhood attending an open house can be a way to learn more about what this community offers. Offer them a printout listing some top restaurants, shopping, the nearest grocery stores and medical facilities as well as school listings to help them get better acquainted with the area. When they realize how centrally located and convenient your home is to these various things it will assure them how right the location is for their needs. Someone browsing this same listing online only may not realize your home has these same perks. The printout adds a nice touch plus can contain your home and agent’s contact information. Open houses are places for conversations. Your real estate professional will be watching for signs of interests from the prospective buyers and be ready to engage them in a conversation around their interests and the features of your home. Open houses are great places for conversations without feeling pressured. You may even notice various guests conversing between themselves which allows an opening for your agent to point out specific things which are unique to your home. Hosting an open house is one of the many marketing strategies used to put your home on the map and draw in buyers to step inside your home. 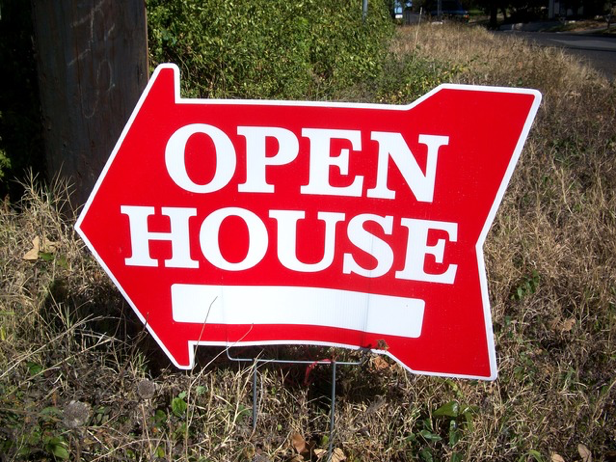 If you’re ready to jump-start your marketing with an open house, please contact us.